There are lots of business owners looking to sell their business at a good price, and they take services of various brokers. They don’t even realize that the internet can be a perfect choice to sell their business. They can smoothly access maximum number of clients for their business. If you want to sell your business at good price, it is important to have enough time to research and find good options. 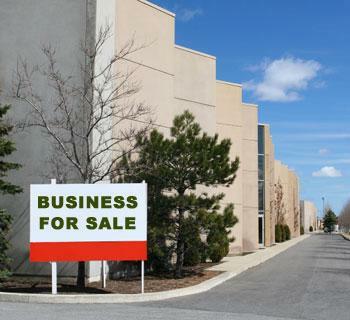 It is not good to sell your business in a hurry because you may face a number of complications. Carefully analyze each and every phase of your decision to sell your business. Calculate the financial situation of your organization and prepare a comprehensive report to present it to potential buyers. Before presenting your business for sale, it is important to provide all important details related to the growth, revenue and previous performances of your business. If you want to get good value for your money, then it is important to keep your books in order. Prepare your financial statements properly because some business owners ignore the proper record keeping decreasing the tax liability. You have to record everything, including entertainment, meals, and travel and repair expenses. Maintain all important documents, including tax returns, profit and loss statement, balance sheet, etc. Brand absence: The customers do not know your company, but use your brand because it is available without any trouble. Brand awareness: Customers are familiar with your brands and buy it for its name. Brand preference: The consumers prefer to use the products and services of your company. Brand insistence: The customers are loyal enough to insist to buy your products and refuse to get the products and services of your competitors. Brand advocacy: Consumers love to get your products and even recommend their friends and family members to take the advantage of your products and services. You have to recognize the strengths of your business organization and highlight them to attract buyers. It is your responsibility to work on your reputation of your business. Work smartly with the best people in your area and make sure to employee qualified people for your business for its smooth running. If you want to sell your business without destroying its reputation, it is important to keep quiet about its sale. People may spread rumors about the financial position of your business. Selling a business organization is quite different from selling a house; therefore, don’t tell people before finalizing the deals. If you want to sell your business at a good price, do not tell people; just call a reliable business broker.You have to sign a non-disclosure agreement with the broker. Before selecting any business broker, it is your responsibility to investigate his/her background. You can conduct an interview to evaluate his/her background and skills to sell your business.